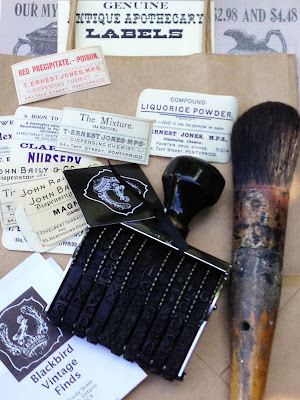 Blackbird Vintage Finds where I scored this amazing oversized date stamp and art brush, as well as all the antique bottle labels. Functional finds ....... make my day! Namaste dears.